Every winter, drivers prepare for less-than-favorable road conditions. Snow removal crews do their best to fight back the onslaught of snow and ice, but planning for the weather isn’t exactly a picnic. However, one suburb just north of Chicago is free from this seasonal hazard. Despite being in an area notorious for long, harsh winters, Niles, Illinois boasts streets that are free of ice and snow year-round. What’s their secret? 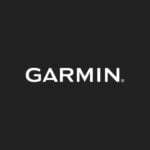 In a word, Garmin. In a few, Garmin DriveSmart 61 navigation device. The Niles public works department faced the same issues that most civic workers face in winter: coordinating an effective snow removal and salt service that stays under budget and on time. Like most communities, they used a map to assign plow and salt drivers to certain areas. However, there was no way to inform their drivers of the best route to clear the streets. That’s where Garmin came in. A Garmin DriveSmart 61 navigator was installed in each of the city’s plow and salt vehicles. With this new technology, dispatch was able to send the drivers out with optimized routes. 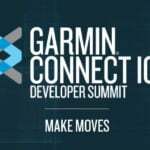 The drivers could simply follow the allotted routes on their Garmin devices. The first year that the department used the Garmin DriveSmart, they saw a 15%-20% reduction in time it took drivers to complete routes. The drivers were completing routes faster and using less fuel. There was also a 40% decrease in salt usage on a typical run.